Twelve years DJing, almost two years producing. My friend Jake Lama brought me to a Dirtybird quarterly shortly after I moved back to SF in 2013. I've been snatching early bird tickets to every party ever since. I love all the Dirtybird players but Justin has to be my all-time favorite. The Lego Movie. Because everything is a remix of made of smaller pieces, and we can make life into whatever we want! Also, "Everything is Awesome"
Not sure if this counts as a concert but Movement in Detroit. House and techno lovers from across the world came flocking. To the future, when we have floating dance floors and disco balls, and can fly to remote locations to rave under the stars. Flying cars would make throwing renegades so much easier, right? An owl because I like to stay up all night. Hoot hoot! 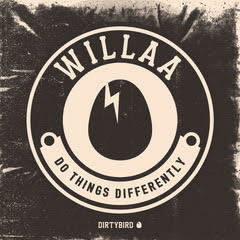 Dirtybird is on the cutting edge of the evolution of fun and wacky dance music. It's been amazing to hear how things have changed over the past half decade of being a fan. It's my all-time favorite label.